Click here to read more of the minutes. Robert Wade, member of West Hills Friends, has been nominated to assume the role of treasurer for Sierra-Cascades Yearly Meeting of Friends. He brings a wealth of experience and expertise in his roles as treasurer for West Hills and as a seasoned actuary. As part of the discernment process we are providing opportunity for all to give us affirmations and/or concerns about this appointment. Click here to offer feedback. Yearly Meeting happens because we all participate. As you register for Yearly Meeting, please consider how you might volunteer. We need people to help provide an hour or two of childcare. We need people to help at the registration table beginning Friday afternoon, May 24th. We need people to help with the sound board, to write the epistle and to drive the golf cart for mobility-impaired people. We need chaperones for the teen cabins. When you fill out your registration form, please tell us how you would like to help. If you have any questions about any of these, email registrar@scymf.org, and we will put you in touch with the person who can answer your questions. The Quarterly Gathering Committee is looking for someone to coordinate childcare volunteers for Annual Sessions (Memorial Day Weekend). The individual would be responsible for scheduling the volunteers who will fill in with the paid staff for childcare. The childcare coordinator needs to pass an SCYMF background check. Scholarships are available to help with room and board if this is needed. Please contact Terri Beardsley terrib at me.com or Rachel Hampton hamptonrachel2002 at outlook.com. One of the features of Recording in Sierra-Cascades Yearly Meeting of Friends (SCYMF) is that following clearness of the candidate and the Committee for the Nurture of Ministry, there is a 60-day comment period. This is an opportunity for all of us to give affirmations and/or concerns. Click here for more information on each candidate and to comment. Commenting is open on Cherice Bock through April 23, 2019. Commenting is open on Matt Boswell, Ruba Byrd, Patty Federighi, and Leann Williams through May 7, 2019. Have you ever been present when someone was being bullied, harassed or even attacked and you wanted to help but you didn't know what to do, and perhaps you did nothing? You're invited to attend a Bystander Intervention Training, Sunday, April 7, from 12:15-4:15 PM, at Multnomah Friends Meeting. Click here for more information. The second annual Pastors Conference will be Tuesday, April 23rd (noon), to Thursday, April 25th (noon), at McMenamins Edgefield (2126 SW Halsey St, Troutdale, OR 97060). All are welcome, keeping in mind that discussions will focus on the joys, challenges, and possibilities of our lived experience of pastoral ministry. Please contact Matt Boswell (matt@camasfriends.org) for information about registration, costs, and more details about what to expect. Renewing Our Meetings: From May 10–12, at Ben Lomond Quaker Center, Hilary Burgin and Henri Ducharme will guide our exploration of the connection between spiritual renewal and welcoming newcomers. Find out more about this retreat online. 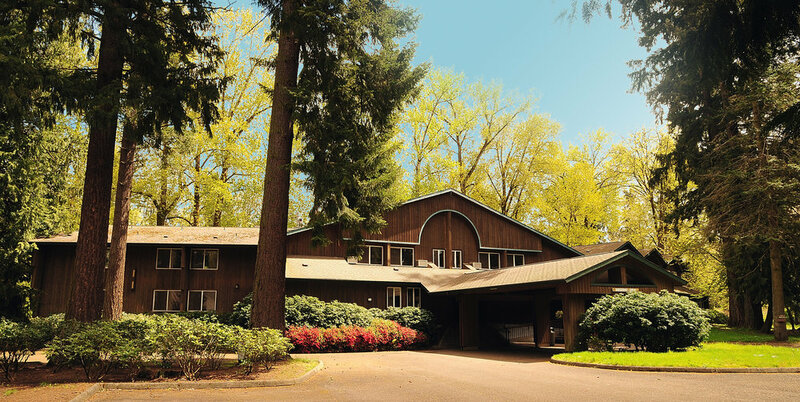 Our next Annual Session has been scheduled for May 24–26, 2019 (Memorial Day Weekend), at Canby Grove. Registration materials and conference information are now available online. Abundance and Justice in Our Common Home: From May 31–June 2, at Ben Lomond Quaker Center, Shelley Tanenbaum and Sara Wolcott will guide our exploration into how climate change continues to threaten our collective survival and into how Spirit is calling us toward greater connectivity across cultures, issues, and disciplines. Find out more about this retreat online. Cascade Church Portland, Newberg Emerging Friends, and North Valley Friends are teaming up this summer to offer a Jesus-centered camping experience for 6th–12th grade students. Registration is open for the Suttle Lake Camp in Sisters, Oregon, June 30–July 4, 2019. “The Woods” (for students completing 8-12 grades in the Spring of 2019). “Fireside” (for students entering grades 6-8 for the Fall of 2019). Copyright © 2019 Sierra-Cascades Yearly Meeting of Friends, All rights reserved.